One market day, I chanced upon someone selling tawilis. And because I have some good food memories of feasting on crispy tawilis in Mahogany Market in Tagaytay, I tried to recreate the dish. 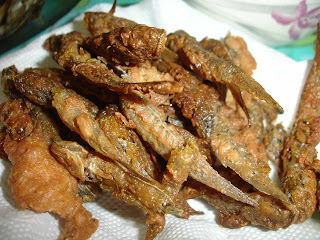 It turned out to be not that crunchy (but crunchy nonetheless) so I'm guessing that the ones being sold in Mahogany Market are twice fried.